Ever wondered how astronauts go about working out if organisms can survive the stresses of space? Largely by strapping them to the side of the International Space Station is how. The vacuum of space is sucking out the water, oxygen and other gases in the samples. 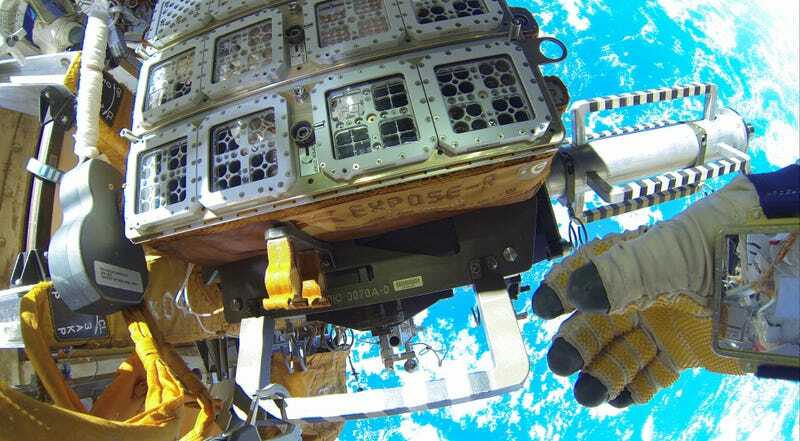 Their temperature can drop to –12°C as the Station passes through Earth's shadow, rising to 40°C at other times, and undergoing a similar process to the freeze-drying used to preserve foods.